SUNPATH was originally founded in 2004 as INNER TURBULENCE. After a few live gigs in the band's singer decided to leave. When the search for a new singer was not successful, bass player Jan Haas quit as well and the band was on hold for a while. 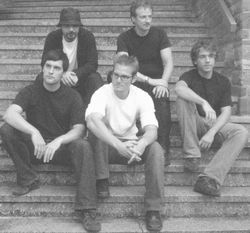 In 2006, the band was resurrected under the name SUNPATH. Original members Cyril Kaynar and Rafael Sonntag were joined by guitarist Felix Starker, Beniamino Alba on bass guitar and Richard Herber on vocals. This quintet started off writing their own material right away, aiming for a full album, in parallel to playing some live shows in the Stuttgart area. Mid 2007, Richard Herber quit, leaving the band once again without a singer. This time, a replacement was found within a few weeks, in the person of former PICTURE THIS singer Ralf Kierspel. With Kierspel on board, the band completed and released their debut album "Acoustic Aphasia" as an independent release - followed by a series of live gigs filled with just over an hour of own material. Musically, the band claims their influences include Spock's Beard, Flower Kings, Symphony X, Frost, Neal Morse, Pink Floyd, Dream Theater and many more - while on first listen many will recognize the influence of country men Sieges Even. Still, the band manages to create their own sound within the Progressive Metal scene, and deserves a listen by anyone with an interest in that genre. 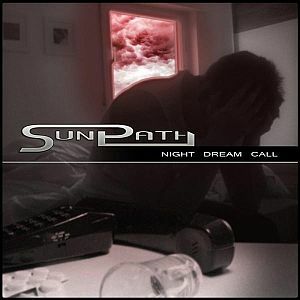 SUNPATH went on writing new songs the following months and the second album 'Night Dream Call' is announced for July 2009. (Thanks to Angelo Hulshout for the biography). Virtuosity, richness of musical elements, bursting rock sound, but also subtle melodies. This unique, innovative band was approved by the ProgMetal Team of Collaborators. 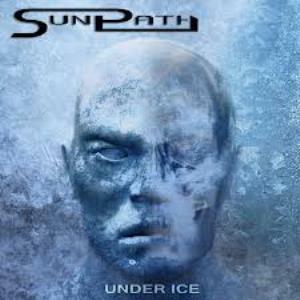 It's been a while since we heard from Sunpath, album-wise at least. However, in January of this year, Rafael contacted me and sent me a copy of their latest effort. Unfortunately, I'm not as active on ProgArchives as I used to be, so my review got delayed for a couple of months - for which I owe Rafael and friends an apology, which is hereby offered. The album, or EP, is suddenly another step for the band - but I'm not certain it really is a step forward. Where the band really grew from their debut Acoustic Aphasia to Night Dream Call, in the sense that they developed their own sound and moved away from Sieges Even influences, I see less improvement from that last album to this Under Ice. Where the opening (and title) track Under Ice immediately attracts attention with a strong riff, it is also the only track that has this effect on me. The continuous movement through metal riffs and more 'symphonic' parts is well executed (and yet again a bit late Sieges Even like) and shows that we have five fine musicians in this band. The screaming vocals in the metal parts also show that Ralf really is a great vocalist with various qualities. The track is followed by This is the River. Again, a song that starts out as a symphonic rock piece (without keyboards that does require something on the part of the guitarists!). Half way, we move to metalland again, according to one of the guitars. However, somehow the guitar seems out of place in that spot, because the rest of the band tries to keep up the more melodic part. 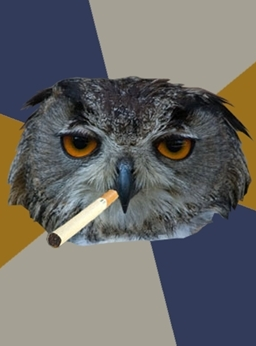 It creates tention in an interesting way, but I keep feeling it is (only just) not right. The guitar solo later in this 7 minute track fits more nicely, but this track may be an example of trying a little too hard. You never know the Truth the is a track that is more in the vein of the longer, more atmospheric tracks that Marillion created in their first three albums with Steve Hogarth - not musically, but where the feeling is concerned. At first the track seems a bit boring, but it grows on you after a few listens. Not the best, not the worst on the album. Father is another example of an attempt at a more symphonic track without keys, that alternates between that mode and full metal riffs. This track keeps giving me the feeling that something is missing. The idea is not bad, musicianship is ok, but the song misses something that really gives it an edge. Imagine Shadow Gallery's Queen in the City of Ice without the keyboards and the backing vocals, to get the idea: the base is there, but something is missing, which prevents it from being the 10 minute epic it could be. The closing track, Wonders, makes up for that a bit, the sound of the picked (acoustic) guitar that kicks in every once in a while does bring that edge. A pity it can't cover for what I miss in the rest of the album. Overall, I still think Sunpath is a great band, with great musicians. With jobs on the side I fear the full potential will not show easily when it comes to compositions - no matter how skilled these musicians are on their instruments - economy can kill art I guess. (background info - sorry, won't provide) (personal info - my first Sunpath album, not so much listens, will edit later). Don't take this review much seriously, I'll do some kind of experimental form of writing in this one. After all, after months of writing more or less in conventional forms, I deserve to do so, right ? Well, so let it cut on bare feelings and emotions: interesting music, when I heard first tones of Crusader, I knew that it's prog. With this intent I selected this album. So I've listened very closely the very first seconds and what came next and tried to differ this from "normal" rock/metal (normal time signature, pace, rhythm), trying to find these complex patterns and structures, harmony of multiple instruments playing together in elaborate way. I found it, however, some of elements in it I already knew, so called "not innovative at all costs". Enjoyment, it's important factor for me. I can listen to this kind of music, I can enjoy it, but I does not see it as masterpiece. Or at least not now. Some music grows older and colder, some will grow "on me" (as they say), so it will actually become better. The important thing is motivation. Why to listen this again (if I'll give it change again). And I will, because what I just (two times) heard pleased me. In mentioned first song, I quite like little thingie - last two ringing sounds + drums that starts to play directly between them. It's somehow pleasing. Little pleasures as I say. Then, guitar solos kicks in and takes whole place for itself. 4(+), maintaining to be fresh. P.S. Not so bad for experimental review, huh ? My expectations were high on this second Sunpath album, since I liked their debut and the band announced that this one would be less Sieges Even like. Overall, this is definitely true, and it makes the band stronger than they were already. Some of the potential that could be heard in Acoustic Aphasia is showing through now. Most striking is that Ralf Kierspel has grown as a singer. He brought his experience from Picture This when he joined in 2007, but now his voice has really been integrated with the band's music - the past two years were definitely well spent! I have to add here that the band has grown as composers as well. Still there is some room for improvement, some of the longer tracks stay in the same mode a little too long. The 12 minute Names in the Mirror almost had me fooled because of that. It starts as a rock/metal track of the verse/chorus type. After six minutes, it goes into an Eloy (Silent Cries) like, almost symphonic mode. That could have come earlier, I had almost turned away from the track when that happened. I am glad I didn't though, despite this it is a very likeable track. The best tracks on this album for me are easy to identify. Hometown, a track that starts out very quiet with vocals and guitar, and never becomes really heavy. It has a perfect build up, it's well sung and has great bass work as well. Second is the title track Night Dream Call, which is possibly the heaviest on the album. It shows that the band is capable of putting together a true metal wall of sound, without loosing melody, and interleaving that with more melodic, less 'brutal' parts. A small surprise in the form of a grunted verse, by Claudio Enzler of Stuttgart's death metal pride Sacrificium, is included as a bonus. Third is Holyrood Park is worth mentioning, because it both illustrates how the band has grown composition wise, and what Ralf Kierspel is capable off as a vocalist. It's almost as strong as Hometown, mixing metal with more mellow rock and varied vocals. In some of the verses, there's even a hint of Jim Kerr in the latter. Apart from these, Marianna is worth mentioning. A very powerful (not the same as heavy!) and well performed track, with verses taken from the poem Marianna by Andrew Lord Tennyson (written in 1830). All in all, I believe Sunpath have made a big step forwards with this album. They can grow further, but this one beats Acoustic Aphasia for sure. I'll be ready for the next one, and maybe we'll see a joined gig with Feedforward in Amsterdam one day. It's still a pity the previous one got cancelled after Feedforward's drummer broke his arm. After a turbulent few years which saw a number of members come and go, German prog metal band Sunpath released this their debut album in 2007. At present, the album is available for free download or CD purchase via the band's website, the band having taken the bold step of releasing the album themselves. With a line up of twin guitars and vocals, but no keyboards, the opportunities to vary the sound are perhaps limited. There are however six tracks here four of which are over 6 minutes long, including a three part closing track running to some 13 minutes. The opening "Intromental" (get it?!) quickly directs us to the band's long suit, through some melodic and virtuoso lead guitar. This segues into the 9½ minute "Pictures of illusion", the intro to which is quite at odds with the band's "metal" classification. The gentle acoustic guitar lays the foundations for a soft vocal passage. While the vocals are adequate, they are the weak link of the band. In fairness, this is in part due to the production of the album which delivers the vocals in a rather raw, unrefined way. The track builds through heavy riffing and frantic drums delving deep into the territories of bands such as Dream Theater. "Dreamscape" also begins as a soft ballad, before developing into an Indie sounding piece, with suggestions of the prog punk of bands such as The Mars Volta. "Aphelion" is the shortest and most straight forward track on the album. The vocals on this rock metal song are better than on most of the album, this being about as close as the band come to creating something commercial in pop terms. The now familiar acoustic intro returns for "In good seasons", but this time although the track does become louder, it maintains the lighter style. By way of a pleasant surprise, the song includes unaccredited violin as well as the more prosaic guitar. The album closes with "Tacit knowledge", a three part suite and the longest track on the album. In reality though, other than the length, there is little to differentiate this from what has gone before, the average vocals and by now familiar guitar sounds simply being extended. The latter part of the piece does show a degree of refinement which, had it been present throughout the album, would undoubtedly have been to the album's advantage. In all, an album which offers the promise of potential, rather than actually delivering. With some competent production, and perhaps the addition of some keyboards to fill out and diversify the sound, Sunpath could have a bright future. 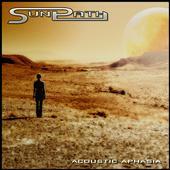 "SUNPATH - a name that stands for virtuosity, richness in elements, powerful rock, and fine melodies. Five musicians combine this with stylistic influences from rock, metal, jazz, blues, and funk - in order to create innovative, unique music." Bits of most styles mentioned here are to be found in this track - without loosing coherence, in some places even blending almost unnoticed. Overall, Sunpath may not have started their career with a five star masterpiece (I dare not judge it that way at it's present age), but this album and the level of experience and musical education in the band, hold promises for the future. A little more variation in song structures (less chorus-verse alternations in track likes Picture of Illusions) would have been nice, but overall musicianship compensates for this.